Hi everybody, my name is Josh Harris and I recently broke the world record for the Beer Mile in Melbourne, Australia with a time of 5:04.9! I’m going to give an insight into my current running history and then countdown my 10 most important tips for running a Beer Mile. Here are my top 10 tips for a successful Beer Mile experience! The Beer Mile is a very challenging event, which I believe every runner should attempt. People underestimate the event until they have actually completed one. I don’t think I’ve met anyone who said they would never do it again after their debut. Make sure you have a group of friends to run against. This will make it more fun for everybody. The debrief period after a Beer Mile often leads to some moments to remember. My friends and I have even used the Beer Mile as a drinking game before a night out. Never drink (and) drive after a Beer Mile. Ensure you have a plan in regards to how you will travel from the event, and where you are going to continue your night’s festivities prior to arriving at the track. If you are underage, the chocolate milk mile is just as challenging. 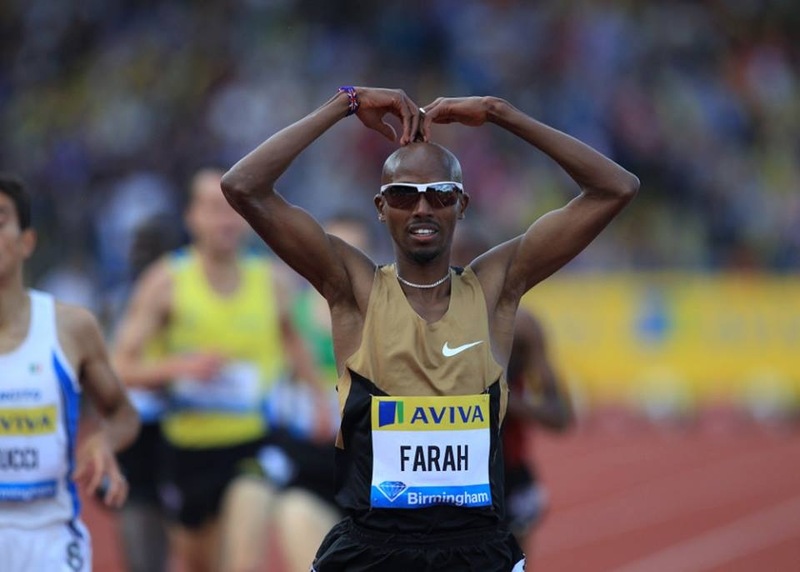 Ensure you open a beer when you cross the finish line to continue on with the celebrations. You might want to avoid drinking what you did in the race, as it may not be overly nice on the palate after chugging 4 of them. I love to sip on the ‘warm down’ beer with the other competitors and talk about how the race went. You don’t want to be on beer two thinking ‘why am I drinking this rubbish’. Drink something that you know goes down easily. 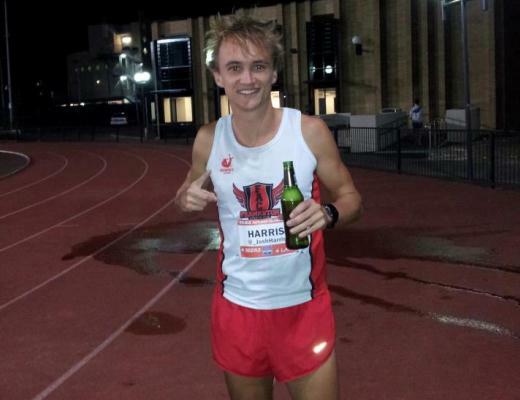 My personal suggestion is a beer called Coopers 62, which fits the 5%, 355ml requirements of BeerMile.com. I drank a beer that I didn’t like once and I ran over 7 minutes. It is important to come into the transition area feeling good so you can drink your next beer without taking a breath. In order to do this it pays to run relaxed in the first 3 laps. This will decrease your chance of vomiting, increase your drinking speed and also save your legs for the final 400m, which I covered in 58 seconds in my recent world record. It is almost impossible to drink a beer in 5 seconds out of an icy cold bottle. It is almost impossible not to vomit when drinking warm frothy beers. Make sure your beer fits somewhere in the middle of this spectrum. I like to take my beer out of the fridge about an hour before the start of the race. This tip will probably be the best chance to take large amounts off your time. Being able to drink a lot does not mean you will be able to run a fast Beer Mile. Practicing drinking fast with short recovery is a good idea. I recommend 3 or 4 beers as fast as possible with less than 30 seconds rest. This session got one of my friends an 8:01, after running 12:09 on debut just a month earlier. Don’t put your whole mouth around the bottle if you want to drink fast. It is important to let some airflow into the bottle by sitting the beer on your bottom lip, and pouring it down your throat. I like to pour it down at an angle of close to 45 degrees. Once I learned the technique to drink a beer fast I improved my maximum speed out of a bottle from 10 seconds to around 5 seconds. Don’t underestimate the Beer Mile. I have many friends who can drink like a fish, many of these happen to be good runners too. This does not mean they are good Beer Milers. The main test in the Beer Mile is how quickly one can drink the second, third and fourth beers while out of breath, while holding large amounts of volume on board. When I learnt to drink the last three drinks in the same speed as the first beer I improved my Beer Mile time by 1 minute. Don’t go into your first Beer Mile thinking it will be easy, because many have found out the hard way that it is not!